Mr Willy Wonka is the most extraordinary chocolate maker in the world. And do you know who Charlie is? Charlie Bucket is the hero. The other children in this book are nasty little beasts, called- Augustus Gloop - a great big greedy nincompoop; Veruca Salt - a spoiled brat; Violet... read full description below. Mr Willy Wonka is the most extraordinary chocolate maker in the world. And do you know who Charlie is? Charlie Bucket is the hero. 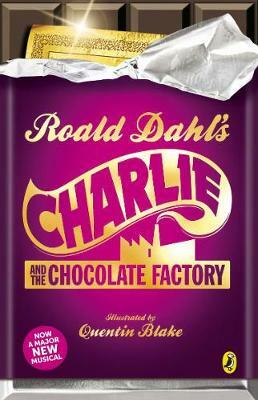 The other children in this book are nasty little beasts, called- Augustus Gloop - a great big greedy nincompoop; Veruca Salt - a spoiled brat; Violet Beauregarde - a repulsive little gum-chewer; Mike Teavee - a boy who only watches television. Clutching their Golden Tickets, they arrive at Wonka's chocolate factory. But what mysterious secrets will they discover? Our tour is about to begin. Please don't wander off. Mr Wonka wouldn't like to lose any of you at this stage of the proceedings . . .